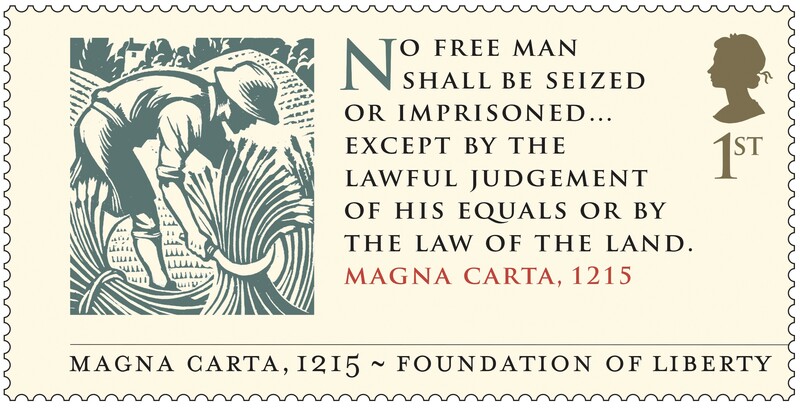 Royal Mail launched on 2nd June a Special Stamp set to mark the 800th anniversary of the Magna Carta, the foundation stone of the Rule of Law. 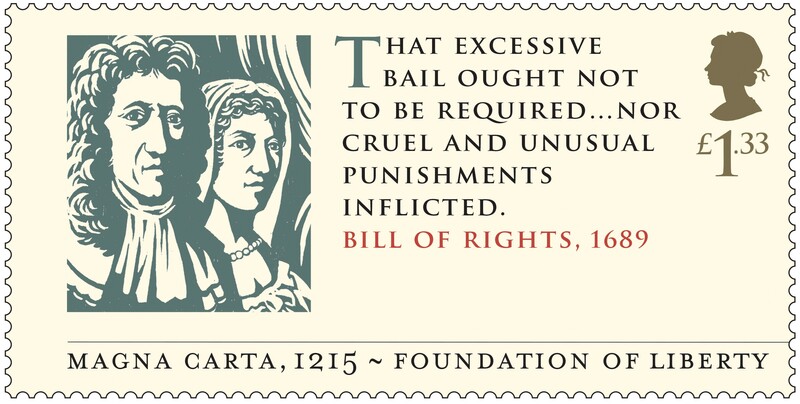 To commemorate this milestone, Royal Mail worked closely with the Magna Carta 800th Committee to produce a six-stamp sets commemorating the Magna Carta itself as well as major charters, bills and declarations inspired by it that have developed the Rule of Law in the centuries since and around the world. 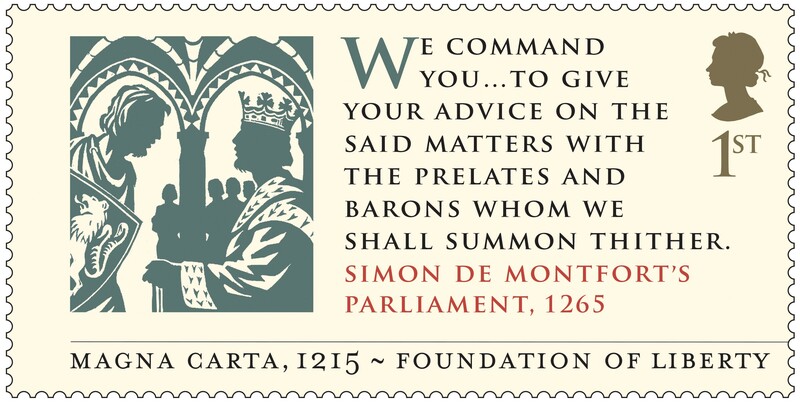 As well as the Magna Carta, the 750th anniversary of Simon de Montfort’s Parliament is also marked with a First Class stamp. 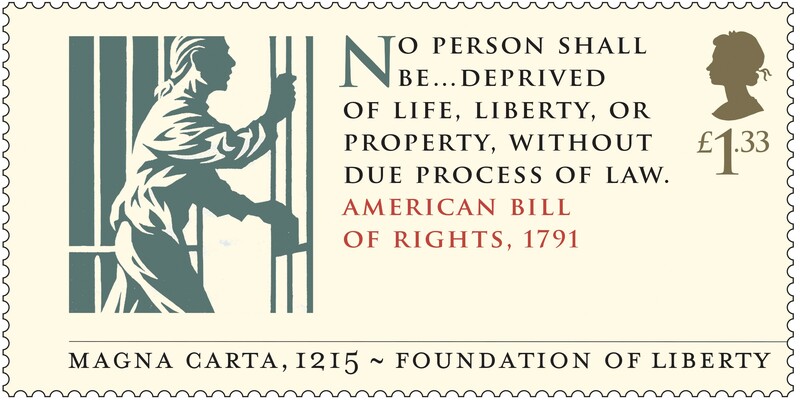 Other stamps commemorate the Bill of Rights (1689) and the American Bill of Rights (1791); the Universal Declaration of Human Rights (1948) and from our own century the Charter of the Commonwealth (2013). 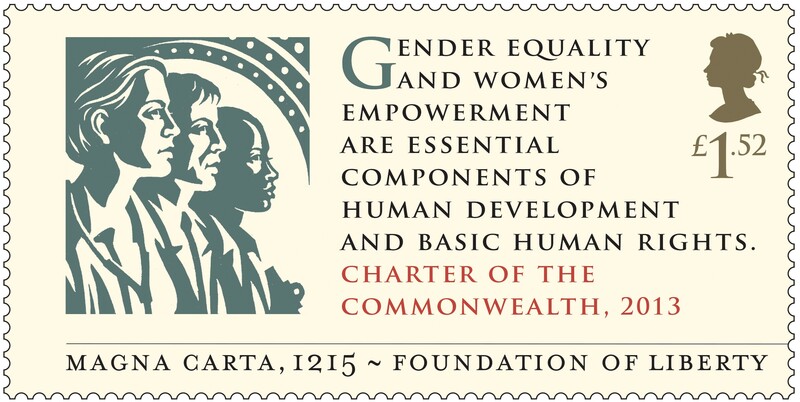 Each stamp features an excerpt from each document or charter, together with a woodblock illustration. 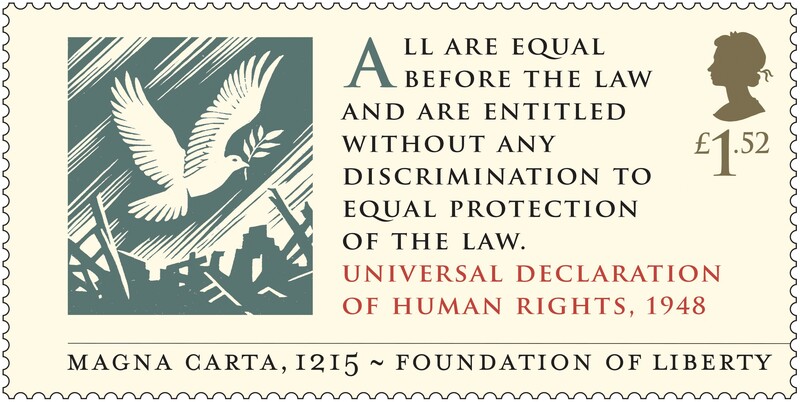 The Magna Carta design features Clause 39. The stamps are available individually as well as in a specially-designed Presentation Pack which was written by Professor Nigel Saul. See www.royalmail.com/magnacarta for more details.